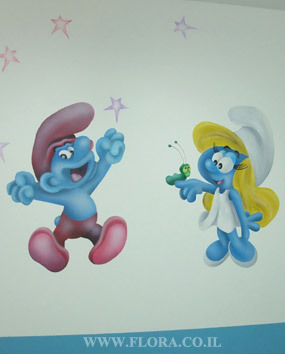 Kindergarten murals - The Smurfs. Front view. Smurfette and Clumsy Smurf. Location: Nursery Habait Hakibuzi in Ashkelon. Muralist: Flora.